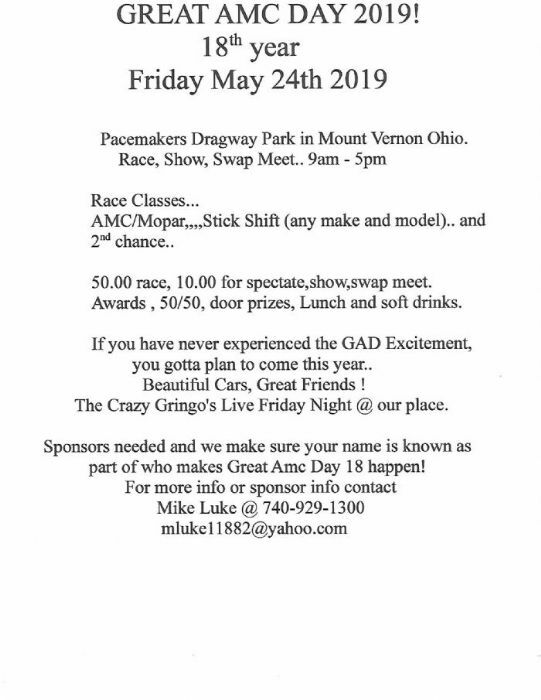 It is a 1/8 mile Dragstrip..
we will have 3 race classes again this year..
AMC/Mopar class..... Any AMC Bodied or Powered can join the fun.. Lunch and soft drinks will be provided!!!! we will still have our pre-party and after party will be at our house,as in past years..
we look forward to seeing new faces this year..
Hotel reservations made. Going to be fun again this year!! 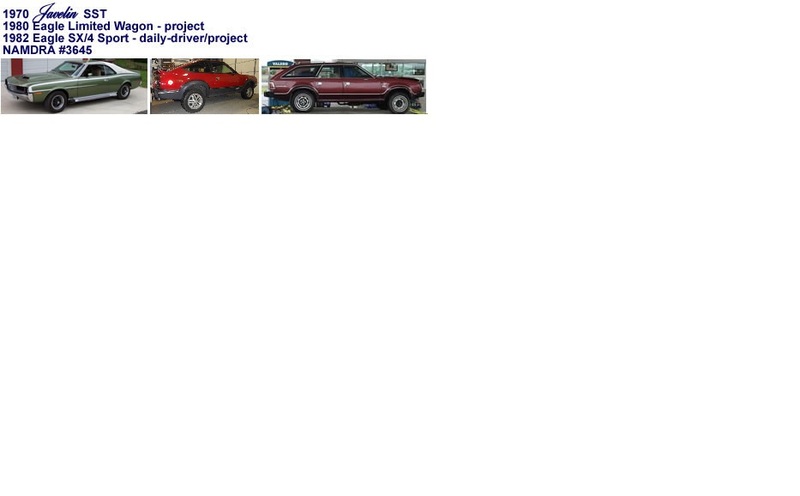 the clock is ticking fast guys/Gals... who has there car ready?? ?